We are looking for 20 masters assistants (ceramics or sculpture students) who are interested in a once-in-a-lifetime opportunity to work closely with leading national and international ceramic artists. This seven-day intensive ‘apprenticeship’ takes you into the realm of practicing artists and the way they work, allowing you an insight into the working methods of esteemed and established artists at close quarters. Your tasks will include: assisting with the preparation of materials (under the direction of the artist) prior to each demonstration period; assisting to keep the artists work space clean and tidy; managing the expectations of delegates; assisting with looking after the artists work in progress; assisting with the transportation of the artists work to Morning View. You will also be required to arrive in Gulgong a day earlier than the delegates (April 17th 2020) to meet the artist you are working with (we will also establish a connection between you and them via email prior to the festival) to assist with their set-up. All masters assistants will attend Clay Gulgong 2020 without having to pay the registration fee. You will, however, be required to organise your own accommodation. A detailed list of duties will be forwarded to you should your application be successful. Availability: Assistants are required on site from Friday 17th April 2020 at 4pm to approximately 7pm on Thursday 23rd April 2020. Assistants are expected to work for approximately 6 hours per day. Some days may involve working for longer hours. Demonstration hours are from 9.00am until 11.00am and 2.00pm until 4.00pm each day. All masters assistants will need to arrange their own transport and accommodation whilst in Gulgong. 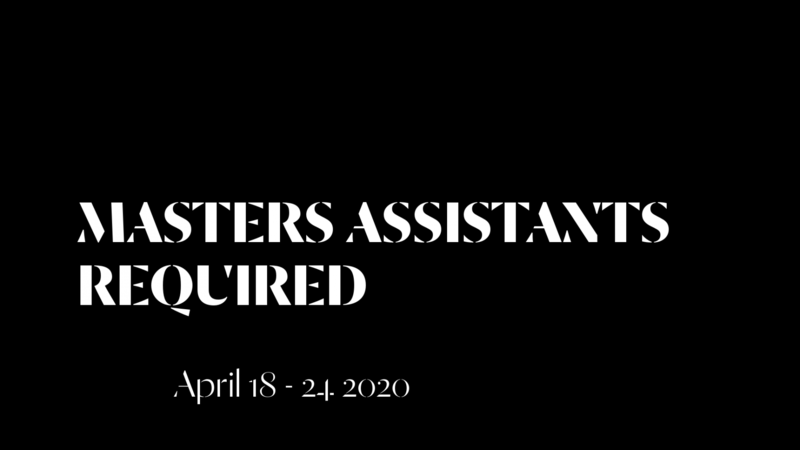 23rd April 2019: Applications for masters assistants open. 30 October 2019: Deadline for applications. December 10th 2019: Confirmation letters sent to successful applicants. If you have not heard from us by the December 20th 2019 you can assume that your application has been unsuccessful.